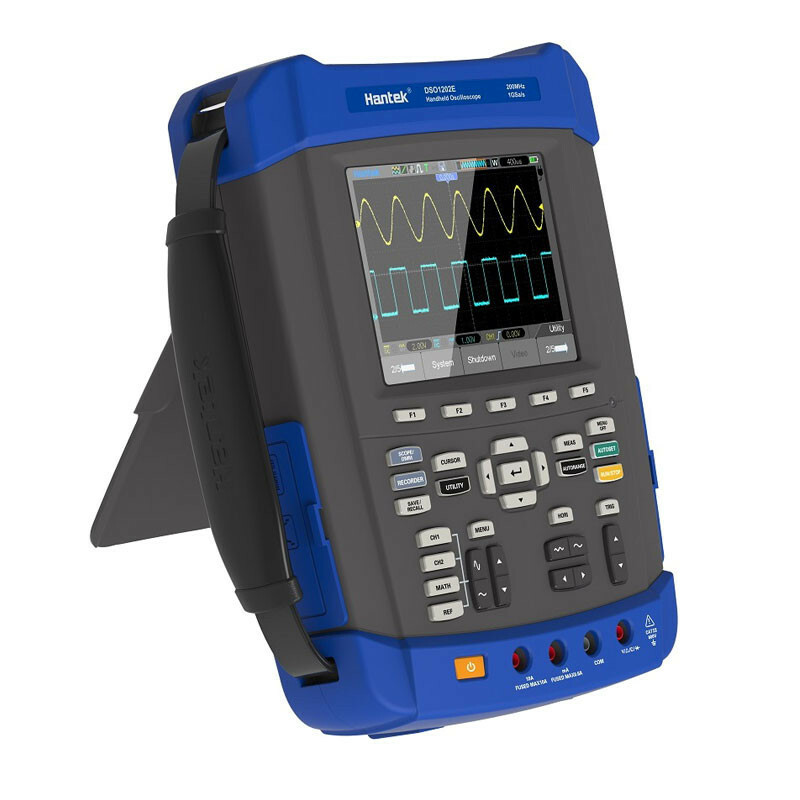 • Five in one: Oscilloscope/Recorder/DMM/FFT Spectrum Analyzer/Frequency Counter. • IP-51 rated for dust, drip and shake proof to withstand harsh environments. • Large fuse confirms to European Safety Standard. • Battery indicator with easy-changed connect points. Selectable 18650 battery box for matching 18650 battery by yourself. • Anti-theft lock hole, tripod fixed hole, hang rope, FLASH light that can be used in darkness. • Replaceable BNC safety joints, and additional one set of joints. • High bandwidth 70MHz-200MHz Oscilloscope, 1GSa/s sample rate, 2M Memory depth. • 25Mz Arb. 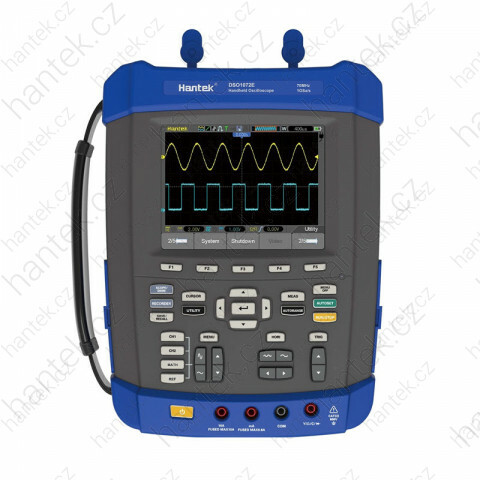 Waveform Generator, 200 Mesa/s DDS, 12 bit vertical resolution, easy for simulating transducer. 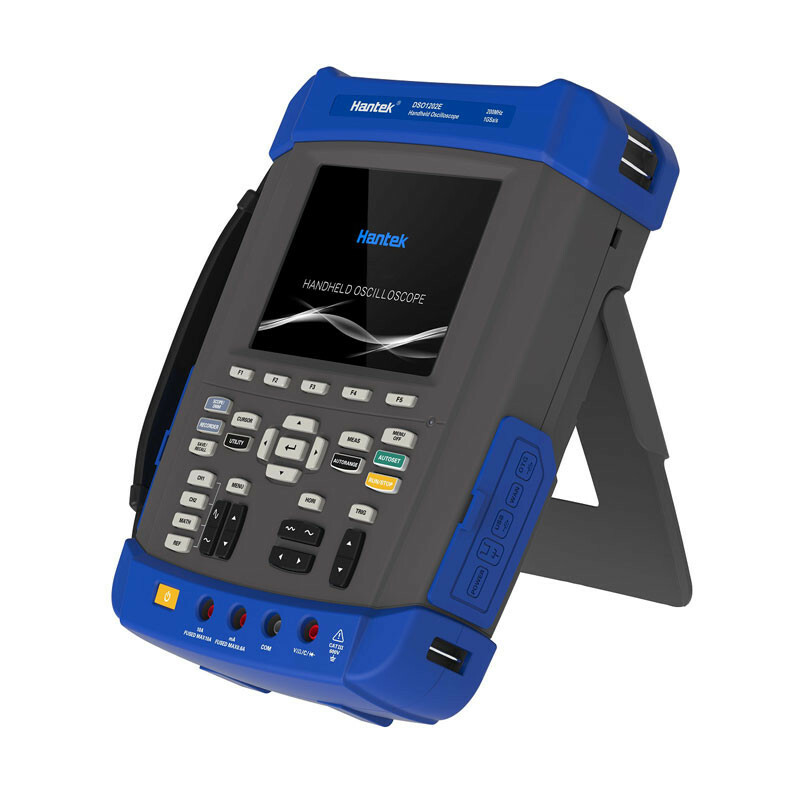 • 6000 Counts DMM, AC/DC voltage, AC/DC current, resistance, break, capacitance, and diode function. • FFT spectral analysis; Waveform Math: add, subtract, multiply and divide; X-Y mode; more than 20 automatic measurements; PASS/FAIL Check function, apply to engineering application. • Abundant trigger function, double timebase sampling, easy to observe two waveforms in different frequency. • Record and replay of more than 1000 waveforms. • Large 5.6 inch TFT Color LCD Display; High Resolution(640*480). • USB Host/Device 2.0 full-speed interface; support removable disk; WIFI/LAN Option, easy to control by PC or long-distance. • Waveform data can be output in WORD，EXCEL, BMP, JPG as time and voltage.